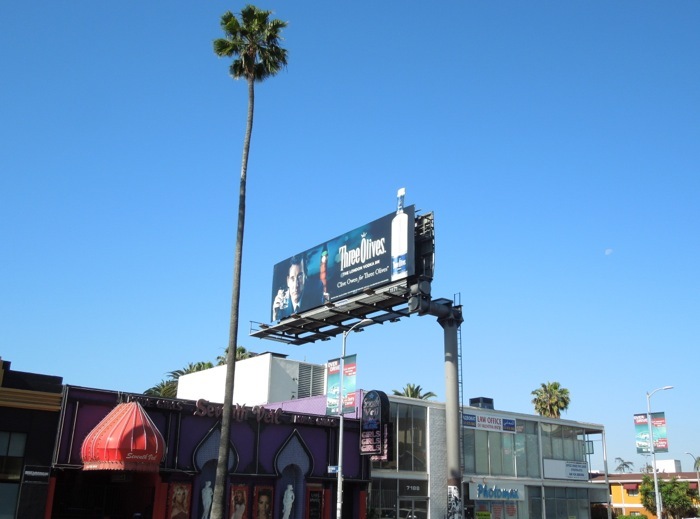 There's nothing quite like a celebrity endorsement to help draw attention to your billboard. Combine this with a special extension for maximum impact and you're sure to get a few extra eyeballs. In this instance it's British actor Clive Owen, known for his cinematic roles in Children of Men, King Arthur and Sin City, to name but a few. 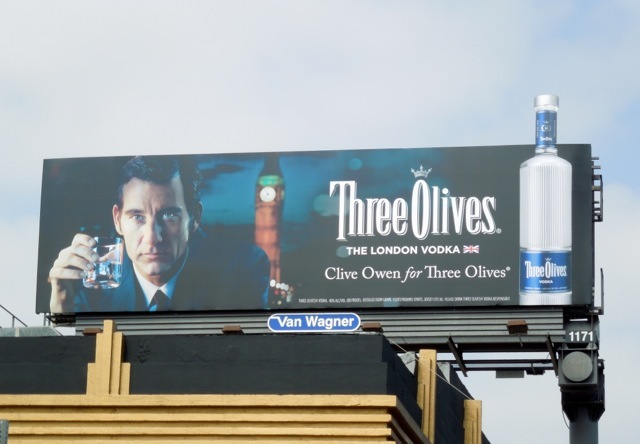 Now he's the face of Three Olives Vodka and he certainly brings with him that dashing 'shaken, not stirred' quality. 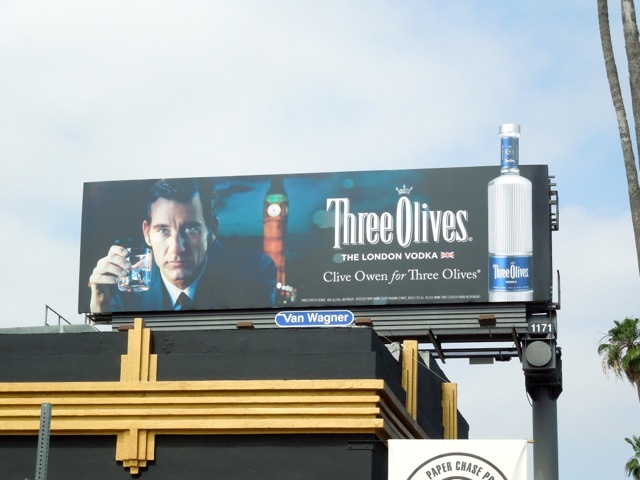 This special extension billboard for the English vodka brand import was spied along Sunset Boulevard on May 15, 2013. 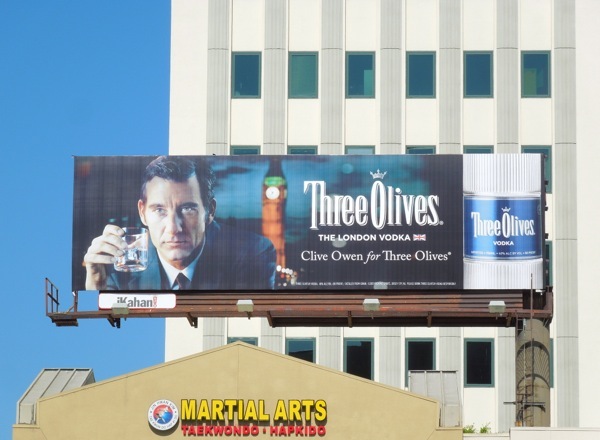 Be sure to also check out these other celebrity endorsement billboards, like these Jennifer Aniston Smart Water billboards, Rihanna Vita Coco billboards and fellow Brit Idris Elba for Tanqueray Gin. 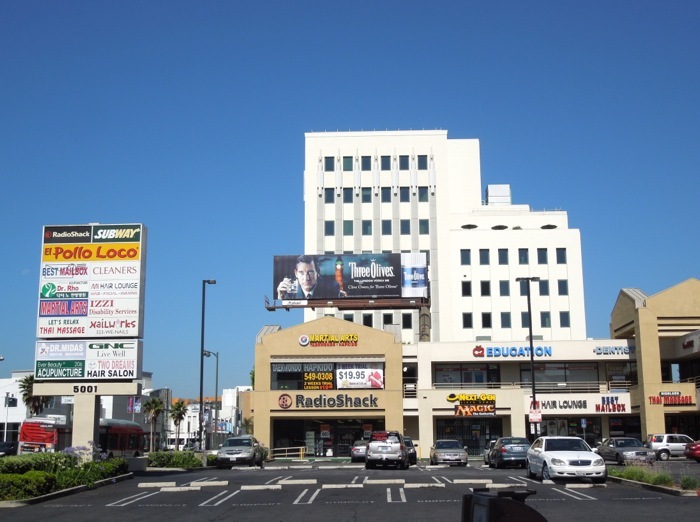 UPDATED: Here's another look at the special extension billboard from another angle and in brighter weather conditions. 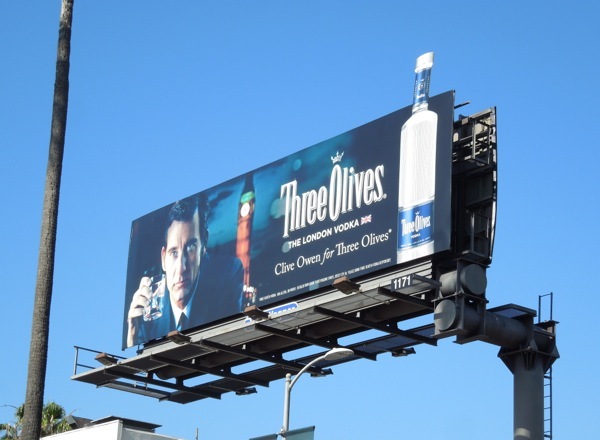 Plus here's a standard version of the Three Olives Vodka billboard snapped along Wilshire Boulevard on May 29, 2013.